Global Muslim Enclaves: Connecting the Dots of the Caliphate! I grew up playing all kinds of harmless board games like Monopoly® or Clue®. Another one of my favorites was RISK®, where players competed against one another to conquer the world one region at a time, one continent at a time. One of the winning strategies was to slowly increase your army strength all across the globe without much fighting until you had enough in a few places to “connect the dots” and then descend on your enemy, decimate them and take over their territories without much harm to your army. While there is no longer any doubt in our collective minds that Islam has been on a growing spurt for several decades, the manner in which it has chosen to expand is much like a real time game of RISK®. And all of it is happening under the eyes of the West or like others would say “in plain sight”! It seems to me that Muslims have been positioning the dots quietly for a while now. The next logical move is of course to connect those dots, and I see it happening in three different ways. 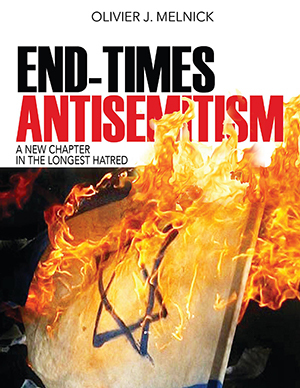 Two of these ways have been documented in several previous articles of mine as well as my first book on the re-birth of antisemitism (They Have Conspired Against You: Responding to the New Antisemitism). Third, there are countries that are predominantly if not completely Muslim and have been for a while such as Afghanistan, Egypt, Libya, Senegal, Indonesia and many more. Then there are countries that have a growing Muslim community, but at a much slower rates. Finally, there are countries that really never had much of a Muslim community until the last few decades, yet they are seeing a blossoming of their Muslim population. This growth is noticeable in countries like Belgium, the Netherlands, Sweden, the United-Kingdom and France to name just a few from the EU. The concern that we should have is not so much in the growth but in the lack of integration or assimilation into the European countries named above. It would simply be a case of unwarranted xenophobia for anyone to ask non-natives to get out of the country they emigrated to. Yet currently, we can observe that Muslim enclaves are being set-up and growing in a way that can only become increasingly conducive to tension if not riots. Sweden is a good example of that trend. More than 50 areas have been identified in that country, where non-Muslims are not welcome and often in danger for their lives. These area are regulated by sharia law, yet they are geographically located in countries that are not sharia compliant, at least for the time being, but I fear a change on the horizon. Paris, France has some districts like Belleville where non-Muslims feel very uneasy. Marseilles in the south of France also has a very large Muslim community. All in all, there are over 750 Zones Urbaines Sensibles (Sensitive Urban Areas) in France. These areas are places ruled by Muslims that the French government doesn’t control (not necessarily by choice). They are also known as “No-Go zones” and they keep growing in size and number. But in case you thought that this was a problem mostly confined to Western Europe, maybe you should pay a visit to Dearborn, Michigan. 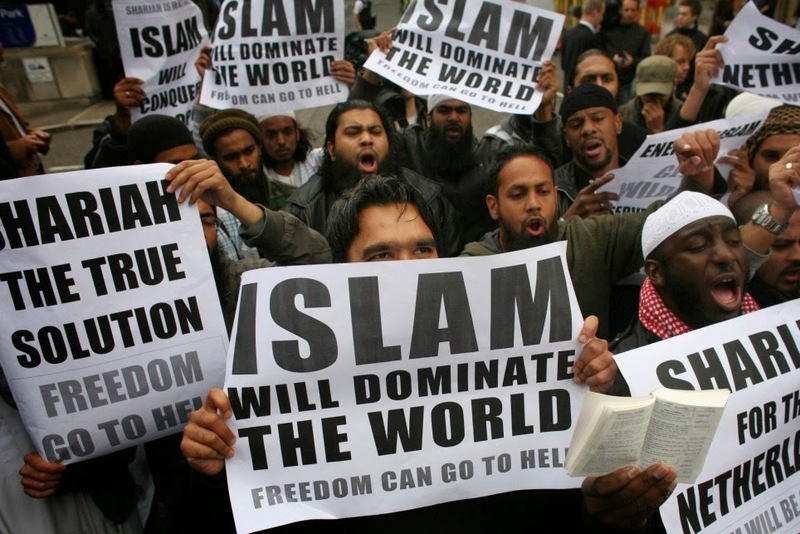 This city has the largest Muslim population in the whole United States and at times, it would seem that sharia takes precedence over the US Constitution. The dots are spreading out on all continents. Dots have been connecting geographically. We might not see it yet, but as the dots continue to connect and spread geographically, even the most “moderate” Muslims will be forced to chose a side, and where they end up might surprise all of us. Let me be clear and state that multiculturalism, as a way to assimilate or integrate non-native people groups and especially Muslims, has been a failure for the most part. I was born in Paris, France and came to America 30 years ago. I had learned the language and was very willing to adapt further to the “American Way”. I love America and still believe that it is the best country in the world (yes, I will admit that this last November elections gave me a sense of renewed hope). I simply believe that if we continue to ignore the connecting of the dots, we will soon be entangled in a web of global proportions. If you have ever observed an insect getting caught into a spider’s web, you have witnessed the surprise, followed by the struggle to escape and the unavoidable slow agony. This is not the way I wish for western civilization to end. The dots are currently connecting and in plain sight. Speak up or get caught! Finally, I do not want this article to be misunderstood for a racist manifesto against all Muslims. I strongly believe that all Muslims are enslaved by an archaic religious system. The God of the universe can be found on the pages of the Tenach (Old Covenant) in every one of the Jewish books and can also be met on the pages of the B’rit Hadasha (New Covenant). He is known as the God of Israel and wants a personal relationship with all people regardless of their upbringing. He loves mankind enough that He provided a way for Muslims, Jews, Christians and Atheists alike to spend eternity with Him. That way is through the death of Mashiach ben Yosef and the reign of Mashiach ben Dovid. Yeshua of Nazareth came as ben Yosef to die for us all (Isaiah 52:13-53:12) and will soon return as ben Dovid to reign from Jerusalem. Mashiach ben Yosef and Mashiach ben Dovid…Now those are two dots worth connecting if you ask me! Hatred wasn’t the only cause for Kristallnacht! These are known as the Feasts of the Lord or the Feasts of Israel, and no, they have nothing to do with Kristallnacht per se, except maybe and within reason, the principle of yearly repetition found in those verses. God knew all along that mankind can have a tendency to become complacent and even forget about important events like His festivals, so He laid them out in a chapter of the Torah for believers to commemorate for years to come. There is much value in remembering. We must remember not just the good that happened to us but also the bad. This is why many special dates have been set aside by various countries over the centuries to either celebrate the birthday of an important character of history, an event or even a place. Likewise we must remember the days that negatively punctuated mankind’s history such as Kristallnacht each November since the event took place. This unexpected event occurred 76 years ago on November 9-10, 1938, throughout Nazi Germany and parts of Austria and Czechoslovakia. It continues to be remembered as Kristallnacht or “the Night of Broken Glass”. It consisted of a series of pogroms (organized riots) against Jewish communities during which over 260 synagogues and 7,000 Jewish businesses were destroyed and 91 Jewish people killed. Additionally, 30,000 Jews were arrested and sent to concentration camps. Originally, the reason given for Kristallnacht was the assassination of German diplomat Ernst vom Rath by a young Polish Jew living in Paris at the time. The life of one German man precipitated the destruction of thousands of Jewish properties and the deportation and death of tens of thousands of Jews. This is somewhat reminiscent of the corporate anti-Semitism demonstrated by Haman in the book of Esther for what appears to be the disobedience of one Jewish man, namely Mordecai. This is quite an imbalance by any ethical or judicial standards. In reality the death of Ernst Vom Rath was simply a pretext for pogroms and mass boycotts against the Jewish community. Reputable historians see Kristallnacht as the inception of the “Final Solution to the Jewish Problem” that is the Holocaust. But what we must realize is that Kristallnacht wasn’t only a demonstration of hatred against the Jews. It might have been fueled by anti-Semitism but there was also an equally devastating enemy at work there. I call it was apathy. Whenever there is any kind of abuse in the world being the tight vise of a dictatorship, religious fanaticism or ethnic cleansing to name just a few, the grip of abuse is always facilitated by the apathy of those who could make a difference. There were many Germans during Kristallnacht who could have made a difference. They could have stood in the way of evil. To be sure, some did and we certainly do want to generalize. As to what other civilized countries could have done to help a wounded Jewonistish community escape a much darker fate, history tells us that it was also too little and way too late, if at all. Doors for immigration were closed except for a few countries like England for a short while. Words come easy but when not followed by actions, they are just a collection of clinging cymbals making noise with no purpose. Any time in history that a community becomes complacent or indifferent to the fate of one of its minority groups, it is only a matter of time until that minority runs the greater risk of extinction, all of it simply observed by their apathetic neighbor. 76 years after the original “Night of Broken Glass” anti-Semitism is at its highest since that gloomy episode of history that saw the death of 6,000,000 Jews. Do we run the chance of another Kristallnacht? Well, if we consider the level of anti-Israel sentiment displayed around the globe in words AND deeds, I would posit that YES, we do indeed. We could see another event of the sort that might again serve as a catalyst to a greater loss of life. All we have to do is watch the events of the last six months in Western Europe (France in particular). We can also look at what Iran’s Ayatollah Khameini just published against Israel on the very day of the anniversary ofKristallnacht. His nine-point plan on the annihilation of the “Zionist regime” leaves no stone unturned. When it comes to Israel and the Jewish people, we live in an age of “supporter fatigue”. The events of the Middle East still make the 8 o’clock news but do not carry the same impact as they did even a decade ago. By extension, what happens to global Jewry has also become a rather tiresome story to most. People simply don’t care any more unless there is “something in it for them”. When self-gratification reigns, apathy is a co-regent, crippling those who could help. We must remember Kristallnacht if only to be able to tell our children about it. We shouldn’t hold a grudge or even seek retribution, but we should simply do our part to remain instrumental in teaching our world about evil and how to fight it.